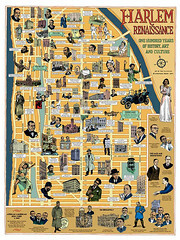 As for E. Simms Campbell’s Harlem map. Try reaching his daughter Elizabeth Rollins through the Gottlieb archives at the library at Boston University. She may be in touch with the Calloway family. 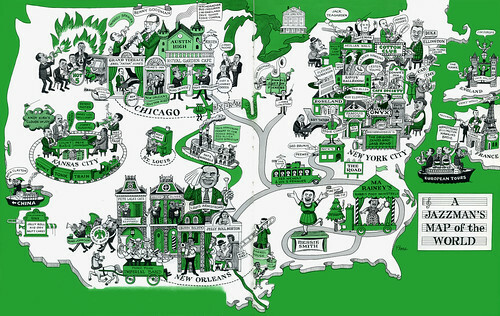 I checked the photo of map that I reproduced in my Louis Armstrong catalogue. I was surprised to see that it was also cut off at the edges. That is not the way I remember the photo I got from Liz. I think I have a copy of the photo and will try to locate it. Thank you for the plug. 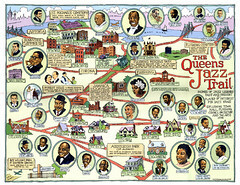 More Jazz Maps @ Mike Thibault – just great!